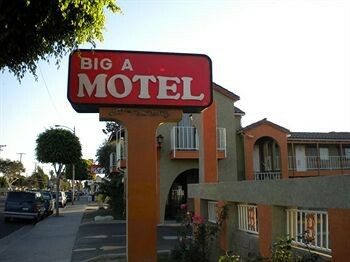 Property Location With a stay at Big A Motel in Orange (Disneyland - Anaheim), you&apos;ll be convenient to Chapman University and Honda Center. This motel is within close proximity of Anaheim Equestrian Center and Flightdeck Flight Simulation Center.Rooms Make yourself at home in one of the 40 air-conditioned rooms featuring refrigerators and microwaves. Complimentary wired and wireless Internet access keeps you connected, and cable programming provides entertainment.Dining A complimentary continental breakfast is served daily.Business, Other Amenities Featured amenities include complimentary high-speed (wired) Internet access, a 24-hour front desk, and ATM/banking services. Free self parking is available onsite.